Around March last year my creative collaborator and companion Craig M. /CM and I discussed the idea of a Fractured Fairy Tale photoshoot around the story of Little Red Riding Hood. The story resonated with my own previous barely realised interest in Predator/Prey dynamics. Although I subsequently storyboarded the photography sequence and sourced costume materials, the photos never eventuated for various reasons. Incidentally if you are interested in the photographs I’ve been collecting on Pinterest with our photoshoots in mind the link is here. Feel free to follow me if you do Pinterest. 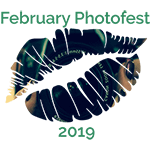 This entry was posted in FebruaryPhotoFest2019 and tagged #DarkPhotography, #FebruaryPhotoFest2019, @MissScarlettUK, arse, bum, Craig M., Fractured Fairy Tales, Little Red Riding Hood, photography, Predator/Prey. Bookmark the permalink. All of your images are inedible and full of creativity!